"That's which is born of the flesh is flesh and that which is born of the spirit is spirit! God can only be worshipped in Spirit and Truth." 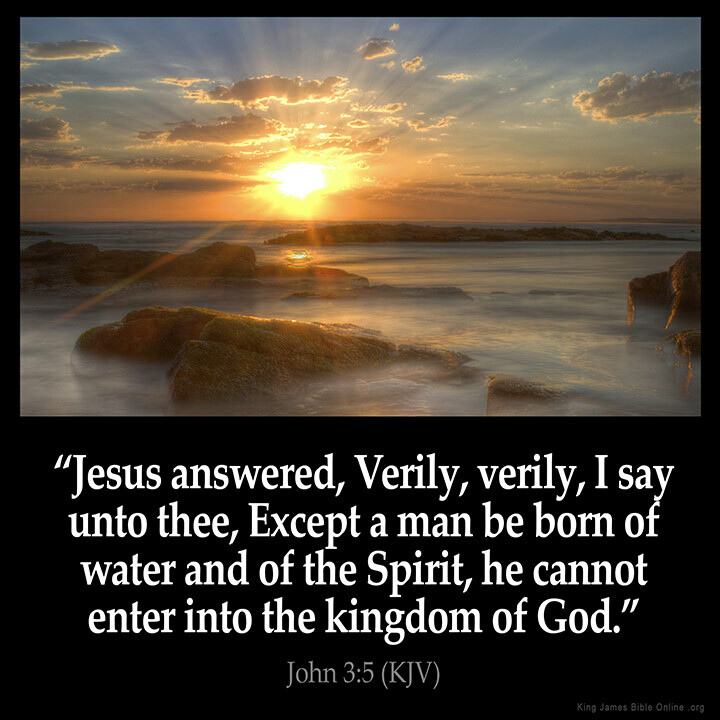 "Born of water--first birth; born of the Spirit--second birth"
"I was born again when I believed (trusted, relied on and clung to) Jesus Christ. I was baptized as a testimony of what had already happened. Jesus saves, being baptized shows Who you belong to." "YES , baptism in JESUS Name and the infilling of the HOLY GHOST , no other way !!!" "Being born of the water is not being baptized in water. Being baptized in water is being buried, immersed in water. Being born of the water is the natural physical birth. First the natural, then the spiritual." "GENESIS 2: 7 And the LORD God formed man of the dust of the ground, and breathed into his nostrils the breath of life; and man became a living soul. John 20:22 21 Then said Jesus to them again, Peace be unto you: as my Father hath sent me, even so send I you 22 And when he had said this, he breathed on them, and saith unto them, Receive ye the Holy Ghost"
"So sek 1st d kingdom of god after dis other things can follow"
"Amen, please lord help people to understand this passage"
"The most important reality we must acknowledge and receive freely and wholeheartedly !!!! Amen!" "Water in this case is the amniotic"